In 1991, Menaville Resort medical staff participated in a series of national and international medical research studies. The huge efforts spent to scientifically implement the phenomena of the non-invasive, drug-free, climatotherapy on patients of autoimmune related conditions resulted in unprecedented achievements. Menaville Safaga is not simply a medical centre; it is a fully-equipped four-star resort with everything a traveller would aspire to have in order to enjoy a vacation by the seaside. In addition, it is a four-hour drive from Luxor city, an area with one-third of the world’s historical monuments. I have an enduring passion for the ever evolving field of wellness research. 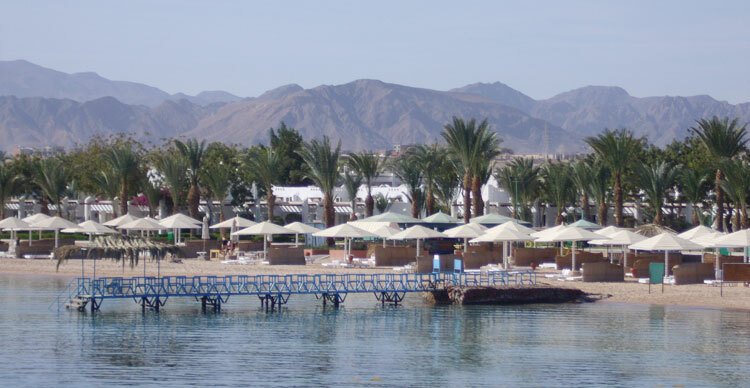 I also have a new passion – health tourism – which led me to the Menaville Resort in Safaga, a hidden jewel by the magical shores of the Red Sea in Egypt. Since my first visit, I now return every year. For health and wellness seekers, a dream holiday would combine health benefits, relaxation, sun, seaside, good food, water activities, excursions and an extremely friendly, warm staff. The Menaville Resort fulfills all of these dream vacation requirements. And despite the beautiful simplicity of the resort, the benefits to one’s body, mind, heart and soul reaped from staying in this hidden paradise cannot be adequately expressed. My primary reason for choosing the Menaville Resort was to experience the benefits of climate therapy. I never thought the unique environment would become a dear, precious friend who would lead me on a journey of deep healing that would set my soul free. In the embrace of the warm, loving Red Sea, I was gifted with many freeing moments of enlightenment. Let me share one with you. They say that experiencing something new is good for brain health. What I experienced greatly transcends that sentiment. One particular day, an agent booking sea excursions approached me to join a group to snorkel around the beautiful reefs. When he noticed my reluctance, he mentioned visiting the island of Toubia. With its white sand and breathtaking emerald water, it all sounded attractive – except for the snorkelling part. I had never felt safe enough to join any water activities beyond swimming. Part of me wanted to do something new and to challenge my old fears while part of me remained hesitant. I made an agreement with him that I would first have a lesson in shallow water. I was determined to overcome my fear. I was joyfully surprised to see all kinds of fish, sea urchins, sea sponge, coloured seaweeds and corals of different colours. My teacher was patient, calm and confident, which is my type of teacher. He made me realize how tense I was and through him I learned that the more I relaxed and the less I moved, the better my snorkelling experience would be. This is similar to an attitude common in martial arts. Less action and more poise and calm will get us further ahead in whatever we seek and do. I realized that trusting both the sea and myself put me into a state of deep relaxation, calm and peace, a state that no therapy had allowed my body to achieve since my car accident four years ago. How freeing. What a joy! Sometimes, trusting what the inner self wants to do renders delightful results – results that are sweetly and deeply felt and which create positive ripple effects on different levels and in many directions. What had began as a snorkelling trip ended as a spiritual experience. Years ago, my spiritual guide, who passed on four years ago, told us how to identify our spiritual guide: when we feel we can trust, when we feel our hearts expand with comfort and calm, when we become full with enthusiasm and hope, when we lose track of time, we know the person talking to us is our true guide. That experience also taught me it was important to let go in order to grow, to expand and to fly free. And it made me realize why it is important for the seeker to let go of the guide when the time comes. As much as it is difficult, it must be accepted. Otherwise, the following learning stage will not unfold or manifest. Growing wings comes with a price! In the warm, kind water of the Red Sea, I realized I was avoiding letting go of my spiritual guide because it meant experiencing the painful separation. For me, this was scary, confusing and upsetting. Yet it is through trusting in letting go that we reach another stage of freedom and spiritual maturity. That day, while looking at the Red Sea, I meditated on the divine secrets hidden in that declaration. I was comforted when I remembered my guide’s words about our miraculous potential to embrace and contain worlds in our hearts. I knew I could leave that place, but at the same time, keep it in my heart. I could recall the sea when I needed to and enjoy its magical, tender, healing power. I could visualize each cell in my body bathing in it. The awesome sea would soothe my mind and comfort my heart. At any time, I could recall this special place and the warm and genuine staff that made me feel I have a home away from home. Bravo! Very good. Beautifully written. The description is so vivid that it makes me feel that I was in the resort, enjoying nature. Learn a lot about the spiritual realm.